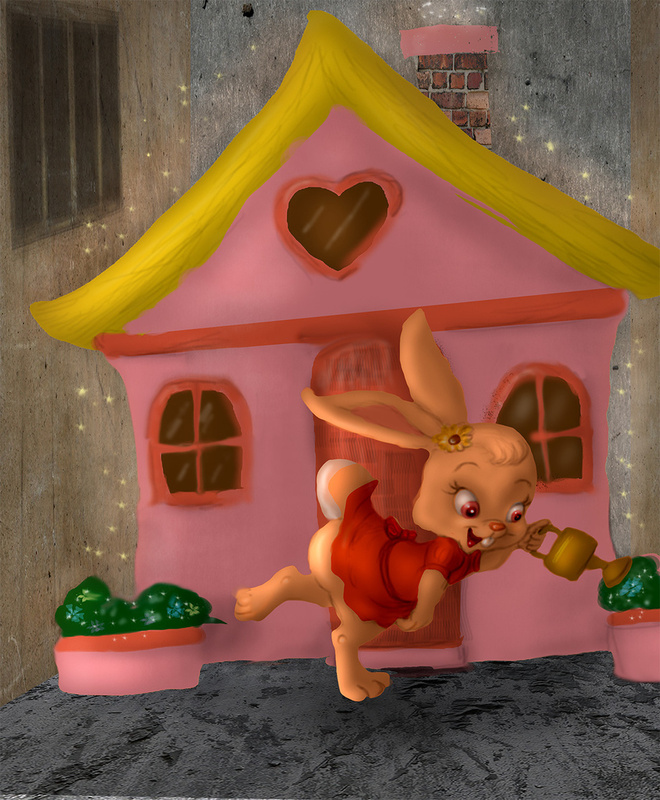 Her magic house pops ups in the dingiest alleys,where she brightens the lives of everyone. Good work, what is your technique? Sketch,scan,flat colors,lighting(i fill a layer with grey and adjust to the intensity of the light I plan to use,then erase with a soft airbrush eraser the light parts,then below a luminosity layer where I can render the forms with light and shadow,then layer w/textures,highlights and fx,and finally a brightness/contrast adjustment layer.